PT Saka Energi Indonesia - SEI or known as SAKA Energi (PGN SAKA) is an extensively growing national energy company in Indonesia. 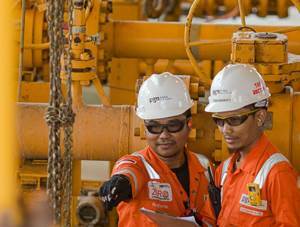 PGN SAKA operates in upstream oil and gas business. PGN SAKA running business in exploration, exploitation, business expansion in oil and natural gas, geothermal and shale gas. PT Saka Energi Indonesia is an upstream subsidiary company of PT Perusahaan Gas Negara (Persero) Tbk (PGN Group), a reputable natural gas transportation and distribution company in Indonesia member of PT Pertamina (Persero). As of December 2017, PT Saka Energi Indonesia is 99.997% owned by PGN Group and 0.003% by PT PGAS Solution. PGN SAKA is based in Jakarta and now has participating interest in several oil and gas blocks, both in Indonesia and overseas. According to information found in PT Perusahaan Gas Negara (Persero) Tbk Annual Report 2017 as cited by JobsCDC.com, PGN SAKA now has 10 production sharing contract (PSC) in Indonesia and 1 US shale gas block. Required experience in oil and gas industry for minimum 5 years. Experience working with multi discipline team. Proficient in written and spoken English..
JobsCDC.com now available on android device. Download now on Google Play here. Please be aware of recruitment fraud. The entire stage of this selection process is free of charge. PT Saka Energi Indonesia - Production Engineering PGN Pertamina Group September 2018 will never ask for fees or upfront payments for any purposes during the recruitment process such as transportation and accommodation.